When starting out with your new business your website address should be way up high on the list of really important decisions to make. Here are a few things to consider and take note of. Is it a memorable domain name, is it catchy and clear or does it leave you open to people misspelling it or it being so long or convoluted people can’t remember it easily? Does the domain name match your brand? It’s probably not a great idea to register a domain name that doesn’t match your brand as it will make it so much harder for people to search for your business on Google. Why not ask your friends and family for some feedback, sometimes inspiration can come from asking those who are not standing in the same creative business idea “fuzz” bubble you are in! Do some research, run a few searches through Google to see what comes up when you type in similar sounding names into the search bar, are there a lot of similar sounding domain names? To hyphenate or not hyphenate? Well, would you have the patience to search for something like www.electricians-in-stevenage-hertfordshire-essex-london.com if you were looking for a local sparky? Probably not right? Then there is the risk that Google may penalise you for having a “spammy” sounding domain name trying to be too clever with keywords and it’s search algorithm may penalise you for it so it’s not worth it in our opinion. It’s better to go for a solid sounding brand name than one that looks and sounds like it’s spam. Ok so what about the bit that comes after the domain, the .co.uk or .com or .net choice? 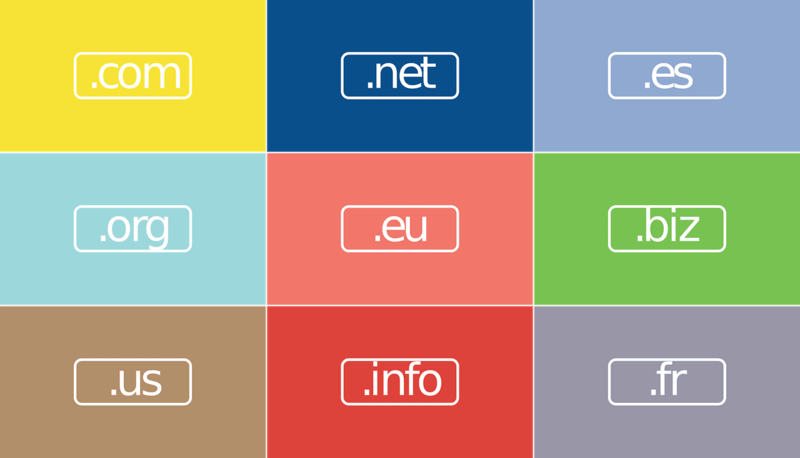 These are known as top-level domains (TLD) and the choice these days is large. The key things to consider here are where you are located and where you will be doing business. If your business is located in France and you will be trading only in France then it makes no sense to register a .co.uk domain and vice versa. Where available always grab the .com if it’s relevant to your brand as per the earlier paragraphs, there are of course exceptions, if your business is a not-for-profit then you could consider a .org domain or if you’re an IT hosting company (for example) then you could also consider having a .net domain as it’s relevant to the nature of the business. Then there’s social media to think of. From your list of possible domain names, and considering all of the above, it’s well worth spending some time looking up your proposed brand name on the most popular social media profiles like FaceBook, Twitter, Instagram etc. to see if there are similar sounding ones as you’re trying to be unique with your brand after all. And finally, have a check that the domain you want to register isn’t copyrighted or trademarked already or consider trademarking yours to avoid future issues with competitors – that’s not our area of strength to advise on so if this is something of concern it’s definitely worth seeking the advice of a professional consultant. The key is also to think about how future proof your domain will be – choose one that is catchy, unique, short and sweet and will still be relevant in the years to come!